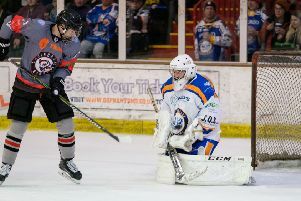 An important ice hockey match has been called off due to snow and ice! Peterborough Phantoms’ trip to Bracknell for the first leg of an NIHL South Cup semi-final tonight (February 2) was postponed this lunchtime. 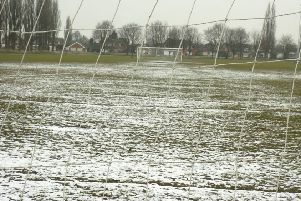 The Berkshire club have cited difficult conditions around their John Nike Leisuresport rink as the reason. Bracknell director Stuart Robinson said: “In the absence of a thaw and commercial gritting, the heavy overnight snow in Bracknell has rendered the car park as unusable the access roads and pavements as extremely dangerous. “We are also extremely concerned that the temperature is dropping to freezing as soon as the sun sets as is then going down to -6 overnight. The two clubs’ clash at Planet Ice tomorrow (February 3, 5.30pm) will now become the first leg of the semi-final with a new date for Bracknell’s leg to be arranged. City of Peterborough’s National League field hockey match at Brighton today has also been postponed.